If you visit the United Kingdom, be sure to include the northern city of York on your itinerary. I visited the ancient Roman city in 1979 and was enthralled by its setting at the confluence of the Ouse and Foss rivers and its architecture, including the York Minster and the remnants of the walls and gates like Micklegate. I think only Chester, which I also visited, rivals York for its Roman heritage. And, while you’re in York, don’t forget to visit the Shambles, a picturesque street of overhanging buildings, that was once an open-air slaughterhouse! Smallish (about 130,000 people) York has never been intimidated by the giant city in the south of England, London, and this pride extends to its role in the history of British Freemasonry. 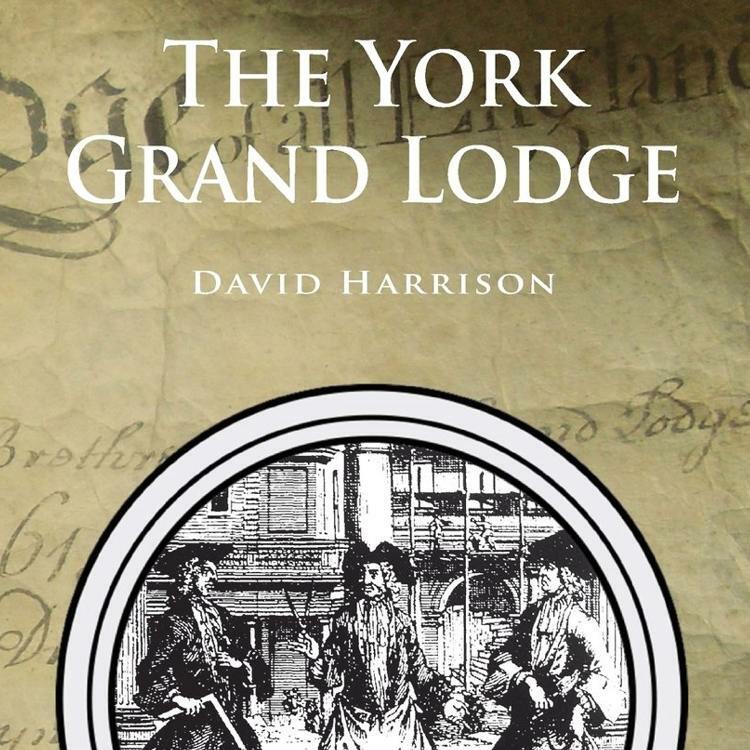 Historian David Harrison, whose books on Freemasonry I’ve regularly reviewed, tells this story in a new quality paperback, “The York Grand Lodge” (Arima Publishing, Bury St. Edmunds, Suffolk, England, 144 pages, illustrations, appendixes, index, $16.00, available from Amazon.com). Like all of Harrison’s books, the story of the staunchly independent Grand Lodge of All England at York, is both scholarly and readable. Harrison is a Mason; I’m not, but I’m fascinated by secret societies and alternative styles of living like the Amish, Quakers, Shakers, Mennonites, Mormons, etc. and by “Utopian” communities like Brook Farm, Amana, Oneida, and New Harmony. “The York Grand Lodge” also appealed to my interest in historical disputes. The London-based United Grand Lodge of England (UGLE) prevailed, but, as Harrison points out, the York Grand Lodge may have survived longer than originally thought and it also influenced that other northern lodge of rebellious Freemasons, The Wigan Grand Lodge. Remnants of the Yorkists and their approach to Freemasonry have surfaced in the 21st Century, as Harrison points out on pages 120-122 in the conclusion of his entertaining book. “Scottish Rite is divided into the northern and southern jurisdictions in the US, they have 33 degrees. The York Rite is more of a collection of Masonic approved rites and orders such as the Royal Arch, Knights Templar and Mark degree. Again it’s a US body. Who is Albert Pike, you ask: According to Wikipedia, “Pike published a book called ‘Morals and Dogma of the Ancient and Accepted Scottish Rite of Freemasonry’ in 1871, of which there were several subsequent editions. Pike is still regarded in America as an eminent and influential Freemason, primarily only in the Scottish Rite Southern Jurisdiction.” Pike (1809-1891) was a native of Boston, MA who joined the Confederate Army in the Civil War after long service in the U.S. Army. He reached the rank of brigadier general (one star) in the Confederate Army. I certainly enjoyed reading Dr. Harrison’s latest book and I think many readers will find it informative and enjoyable. This applies to Masons and non-Masons alike.